The first Principals at St Paul's were Sisters of Mercy, following the tradition embraced by Catherine Mc Auley, their founder. The Sisters left a legacy grounded on Gospel values not only in the field of education, but they were also guiding lights of extending merciful care and compassion to all those in need of any kind within the community and beyond. The Mercy Constitution (1.03) states: "The Sisters of Mercy identify their particular vocation in the Church as sharing in the mission of mercy of Jesus Christ, who came to reveal to all people the steadfast merciful love of the Father for them. 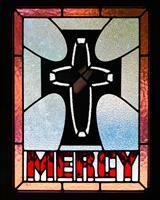 ‘Our gift as Sisters of Mercy is to know God's loving kindness and to share it with others'. 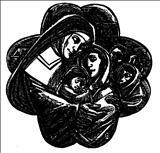 At St Paul's we commit to nurturing all in the community in a life long journey of discovery of the mercy of God, which is so often found in the lives and struggles of the poor in body and spirit. We respond to all with compassion and justice in the immediate curriculum and all supporting programs coming out of the school. In action, it is this spirit of compassionate service, alive and well in our St Paul's School community today, that gives witness to a deep knowledge and commitment to the Mercy Tradition. We believe it is a treasure not to be traded in the future.